Chevrolet Cruze deliveries in the United States totaled 19,949 units in January 2017, an increase of 38.9 percent compared to 14,362 units sold in January 2016. These figures include the compact’s best-ever January retail sales performance. In Canada, the Cruze recorded 1,136 deliveries in January 2017, a decrease of 22 percent compared to January 2016. The Cruze’s cumulative and retail sales performance in January 2017 is highly impressive given that it comes at a time when customers are favoring crossover utility vehicles at the expense of sedans. This gives us reason to believe that the all-new, second-generation Cruze is responsible for the model’s admirable sales performance in January, along with the addition of the hatchback to the Cruze lineup for the 2017 model year. I would like to see a breakdown of sedan vs hatch models. I love the hatch and would be even more interested in laying some cash down if it had an option for something more than the anemic standard engine. We would also like to see that, but that’s not information that’s readily available or that GM wants to share… at least not for the moment. 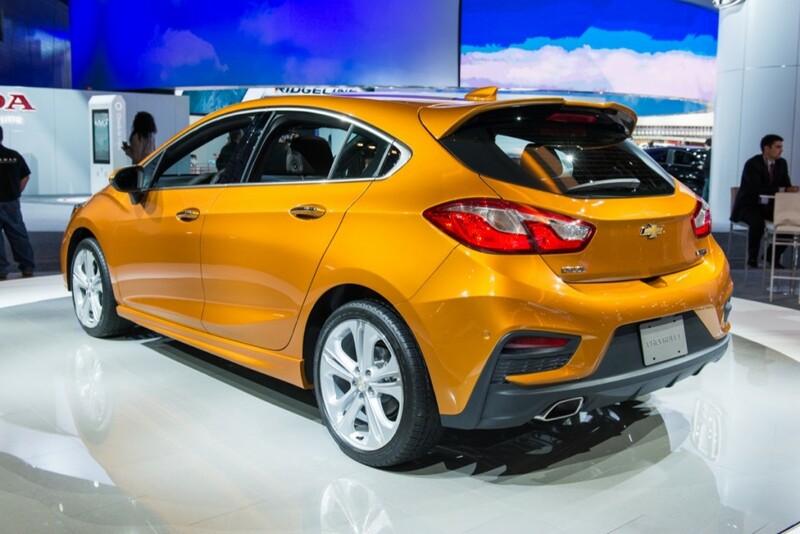 Well because of GM’s standard motto to wait for a while it has cost them 2 hatchback sales. We have a Ford Focus Hatch with the sport package and a Honda Civic Hatchback Sport. GM use to pee me off when I was selling GM with their stupid conservative approach. Lost more sales because of their stupidity. After 36 years of their crap I said no more allegiance to them. Wasn’t long ago GM told us USA didn’t like or want hatchbacks. And now GM is telling us we don’t want decent HP in the Cruze and V6s in the Malibu. The old Cruze hatch was ugly. Better off with a Civic back then. Cruze sales are Up 39% from last Jan .. Hey, I got an idea, let’s lay people off!